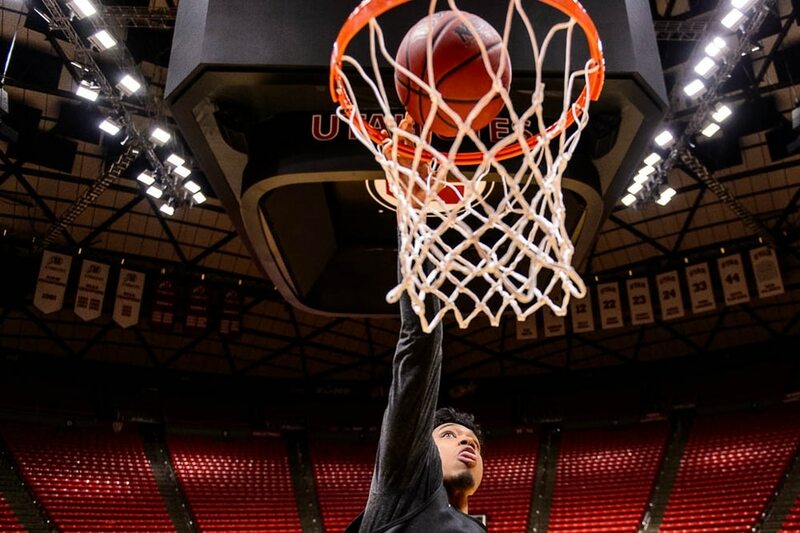 ‘Let’s just go hoop with some joy.’ Transfer guard Sedrick Barefield targets a big finish of his Utah basketball career. ‘He’s grown an awful lot,’ says Ute coach Larry Krystkowiak. 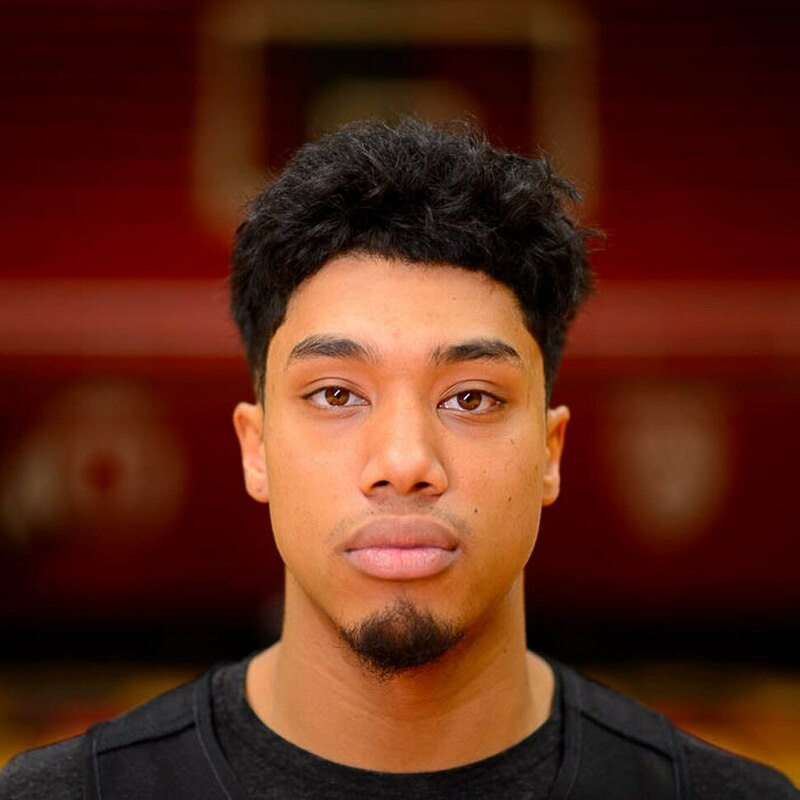 (Trent Nelson | The Salt Lake Tribune) Sedrick Barefield is among the Ute basketball seniors concluding his career at the Huntsman Center this week in Salt Lake City on Tuesday March 5, 2019. (Trent Nelson | The Salt Lake Tribune) Sedrick Barefield is among the Ute basketball seniors concluding his career at the Huntsman Center this week in Salt Lake City on Tuesday March 5, 2019. (Trent Nelson | The Salt Lake Tribune) Sedrick Barefield is among the Ute basketball seniors concluding his career at the Huntsman Center this week in Salt Lake City on Tuesday March 5, 2019. (Trent Nelson | The Salt Lake Tribune) Sedrick Barefield is among the Ute basketball seniors concluding his career at the Huntsman Center this week in Salt Lake City on Tuesday March 5, 2019. (Trent Nelson | The Salt Lake Tribune) Sedrick Barefield is among the Ute basketball seniors concluding his career at the Huntsman Center this week in Salt Lake City on Tuesday March 5, 2019. (Trent Nelson | The Salt Lake Tribune) Sedrick Barefield is among the Ute basketball seniors concluding his career at the Huntsman Center this week in Salt Lake City on Tuesday March 5, 2019. His teammates went home after a loss to Butler, and Utah guard Sedrick Barefield’s night was just beginning. Barefield placed cones on the Huntsman Center court and went through his dribbling drills in a mostly empty arena, anticipating his opportunity to play for the Utes after becoming eligible as a transfer from Southern Methodist. As he sat on the sideline one afternoon this week, Barefield remembered that scene in November 2016. Two-plus seasons later, Utah will honor Barefield after Saturday’s Senior Night game vs. UCLA. He’s part of another diverse class that includes Parker Van Dyke, a four-year player from nearby East High School; Beau Rydalch, a walk-on and co-captain who’s graduating and moving on with a year of eligibility remaining; and Novak Topalovic, a graduate transfer from Idaho State. “They mean the world to me,” said freshman forward Timmy Allen. Recruited out of Southern California by veteran coach Larry Brown, Barefield was partly a victim of bad timing at SMU. The NCAA sanctioned the program and suspended Brown for nine games in an academic fraud case, and Barefield appeared briefly in five games before quickly deciding to move. Brown, having known Krystkowiak from NBA circles, recommended Barefield to him. Barefield remembers seeing random signs such as a Utah-logo backpack on the SMU campus and a Ute game on television, suggesting to him, “I think this is where I was supposed to be." 1,130 – Chas Menatti (1972-76). 1,126 – Andrew Bogut (2003-05). 1,118 – Shaun Green (2005-09). 1,087 – Byron Wilson (1990-93); Barefield (2016-19). 1,073 – Jason Washburn (2009-13). Not everything has gone perfectly at Utah, even after he scored 35 points vs. San Francisco in a loss in his second game as a Ute in December 2016. The coaching staff wanted more from him, notably defense and passing. “He’s grown an awful lot,” Krystkowiak said. That's happening, amid an adventurous season. The Utes (16-13, 10-7 Pac-12) enter Senior Night with an opportunity to earn the No. 3 seed in next week's Pac-12 tournament by beating UCLA. 🗣 Coach Krystkowiak talks about our Seniors, Parker Van Dyke, Beau Rydalch, Novak Topalovic & Sedrick Barefield. 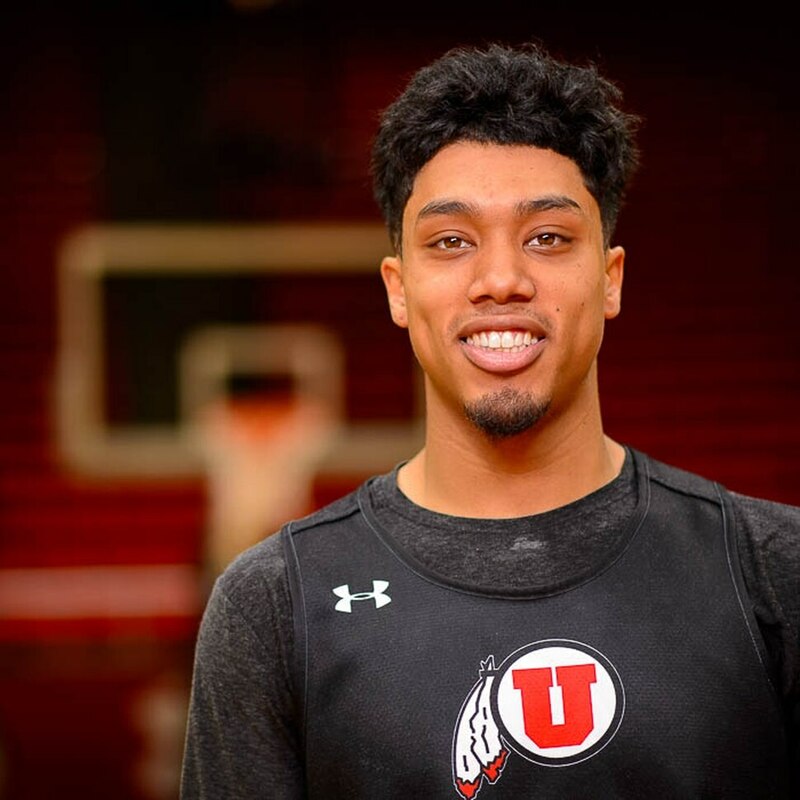 Barefield appreciates his relationships with the likes of Van Dyke, Rydalch and former teammates Brandon Taylor, Kyle Kuzma and Justin Bibbins and the way his Ute career has developed. Whether alone on the court, or surrounded by others, that’s what Barefield always has tried to do. Oregon at Washington State, 1 p.m.
Arizona State at Arizona, 2 p.m.
USC at Colorado, 3 p.m.
UCLA at Utah, 5 p.m.
Oregon at Washington, 8 p.m.
Records: UCLA 16-14 (9-8 Pac-12); Utah 16-13 (10-7 Pac-12). Series history: UCLA leads, 10-9. Last meeting: Utah 93. UCLA 92 (Feb. 9). About the Bruins: Like every Pac-12 team aside from Washington, UCLA is inconsistent. The Bruins were good enough to have led Utah by 22 points with 12 minutes remaining in Los Angeles, only to lose at the buzzer. And they’re bad enough to have lost 93-68 at Colorado on Thursday, shooting 35.9 percent from the field. … UCLA was led by Kris Wilkes with 19 points and Jaylen Hands with 18. … Bruins center Moses Brown was held out of most of the teams’ first meeting for disciplinary reasons. About the Utes: Center Jayce Johnson (ankle) may be available, after missing Thursday’s win over USC, coach Larry Krystkowiak said. Novak Topalovic played 33 minutes as a fill-in starter, posting four points and seven rebounds. ... The Utes are 4-4 in Pac-12 home games and have not swept a weekly series at the Huntsman Center. … Starting guards Parker Van Dyke and Sedrick Barefield combined for 10-of-18 shooting from 3-point range Thursday. Both Gach went 0 for 3, making him 1 of 19 in the last four games.